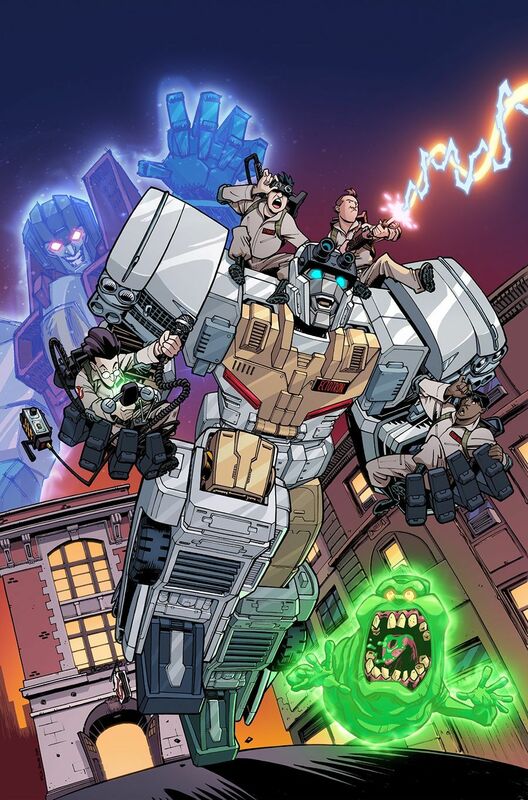 Few ever thought that one day you would be able to see the Ghostbusters join forces with the Transformers, but thanks to IDW that is now a reality. 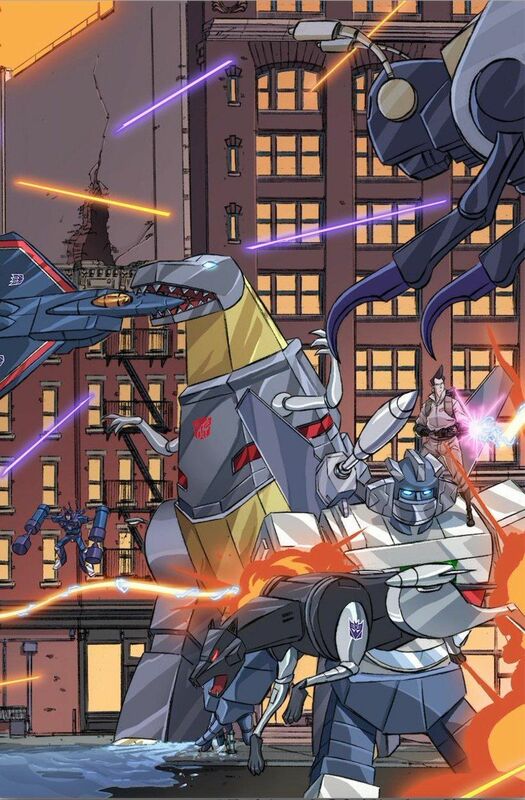 The anticipated Transformers/Ghostbusters mini-series will put the two beloved franchises together for the first time ever, and at the helm will be writer Erik Burnham and artist Dan Schoening. ComicBook.com had the chance to speak to Burnham all about the crossover, including that brand new Ghostbusters-themed Autobot Ectotron. This is actually the 35th anniversary of both franchises, and both have continued to be a hit with fans thanks to their delightful premises and their ability to maneuver and adapt over the years. "Part of the reason I think they've lasted so long is the foundation: Ghosts are cool. Robots are cool. It's obviously more than that," Burnham said. "Ghostbusters explores dealing with the unknown with humor and curiosity. Transformers is (depending on where you look) anything from a straight-up fight of good against evil, to a more nuanced look at disagreements between two groups that come to war (which, no, not the same thing.)" As for the team-up, the Autobots and Decepticons will all benefit from the humor the Ghostbusters are known for. "I think the Ghostbusters bring the humor out of the robots that they meet, and I know those Cybertronians crank up the stakes of the action. It's a good mix for the party," Burnham said. Burnham is well acquainted with the Ghostbusters and Transformers, so writing those adored characters didn't present much of an issue. Ectotron though was another story. "To be honest, the biggest challenge is Ectotron," Burnham said. "He's a new character, so he doesn't yet have an established voice that I can clearly hear. You give me Starscream, I will hear the inflections of Chris Latta. Megatron? Frank Welker. Optimus Prime? Peter Cullen. And, of course, the Ghostbusters have been in my head for YEARS. Those voices are all very clear and etched into my brain – but not Ectotron. Not yet. I know he'll gel before the end of the book, though, and I'm looking forward to seeing what his voice ultimately becomes!" Speaking of Ectotron, Burnham says fans will really get to see him come into his own throughout this miniseries. "Ectotron is a nerd in the same way that Ray Stantz is a nerd," Burnham said. "He's a little defensive about his title, and he doesn't get sent out on missions much – which is why Optimus Prime sending him out to investigate a signal he discovered means so much to him. He's going to grow through his adventure, as we all do, and putting him through those paces is going to be a lot of fun." While Ectotron will be in the spotlight, Burnham teased that he won't be the only Ghostbusters staple to become a Transformer. 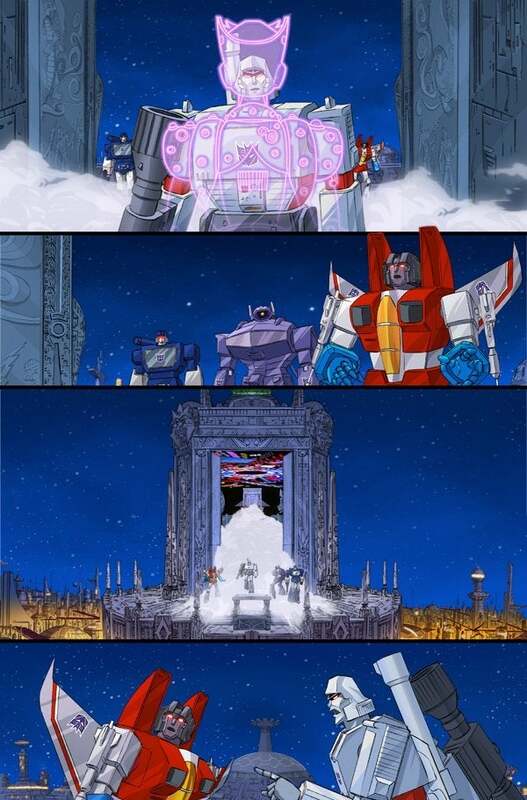 "I can say that those who have seen some of the released art will see the EPIC splash page by Dan Schoening and Luis Antonio Delgado featuring a very robotic version of Gozer arriving on Cybertron," Burnham said. "Gozer's pretty famous in Ghostbusters lore for a conversion, you know," Burnham said. "I'm not saying that's a hint... I'm just throwing that out there, y'know? Speculate as you will. (But don't place any bets, just in case!)" While Burnham isn't finished with the series just yet, there's already one character who steals the show in just about every scene, and he's a Transformers favorite. "I'm only a couple of issues into the story right now, but so far? Hands down, Starscream is just chewing all the scenery (which is what he does)! Even above Peter Venkman, so far," Burnham said. "But I'm just getting started, and there are others who have yet to get their time to shine... That may seem like a vague answer, but it's my way of not saying "wait'll you see" and then spoiling something! We can't have that, now can we?" Another Transformers favorite has always been Grimlock, so we had to ask if the beloved Dinobot would find his way into the story. It turns out he just might make an appearance. "I'll tell you this now," Burnham said. "I wrote an outline, and it kept the cast pretty small, comparatively to the size of the available cast. And then Dan and Luis turned in a connecting cover with virtually EVERYONE. (Not quite everyone, but man, there's a dense lineup on those covers!)" "...And I saw a couple that just BEGGED to be brought in, even though they weren't in the outline. "How can I not find room for so-and-so?" I said. And Grimlock, he is definitely a guy I need to add. Even if it's just for a PANEL. He's too awesome to be denied!" In addition to Transformers and Ghostbusters, Hasbro has a number of other iconic franchises under its umbrella, and Burnham has one crossover idea that we can't get out of our heads. "You know, if the Ghostbusters visited the mansion of Clue, now overrun by several colorful spirits summoned by a Ouija board, perhaps," Burnham said. "(Bet no one saw that coming!)." Yeah, we really didn't, but now that needs to happen! 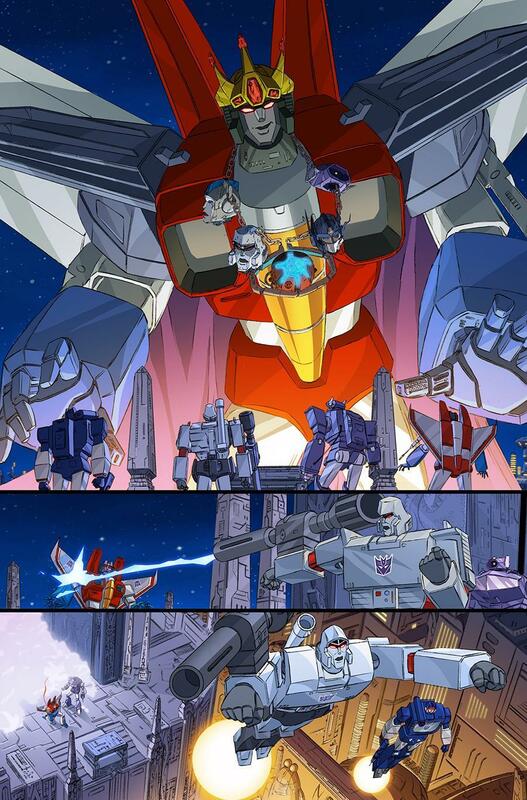 As for Transformers/Ghostbusters, you can check out the first issue of the series when it hits comic stores on June 19th!